If you do not meet the English language requirements for admission to postgraduate study at Massey University, you should consider enrolling in the Direct Entry English Pathway - Advanced (DEEP Advanced). Why enrol in DEEP Advanced? Successful completion of this 16-week programme will give you the Foundation Certificate in Advanced Academic English and direct entry into postgraduate study. DEEP Advanced provides you with the academic English and study skills necessary for success in your postgraduate study at Massey University. Successful completion of the qualification means that you do not need to sit an external English test at the end of the course. You must have a conditional offer for your next programme of study for entry to DEEP Advanced. After completing a bachelor’s degree in my home country of China and teaching Chinese, I decided to spread my wings and do a master’s degree abroad. After seeking advice from local agents and speaking with a Massey representative at an education expo, I decided that New Zealand and Massey University would provide me with the quality education I was seeking and a reputable English language programme to ease me back into study. My parents were happy with my decision to move to New Zealand because of its safe reputation and because they knew it was a good environment for me to complete my studies. 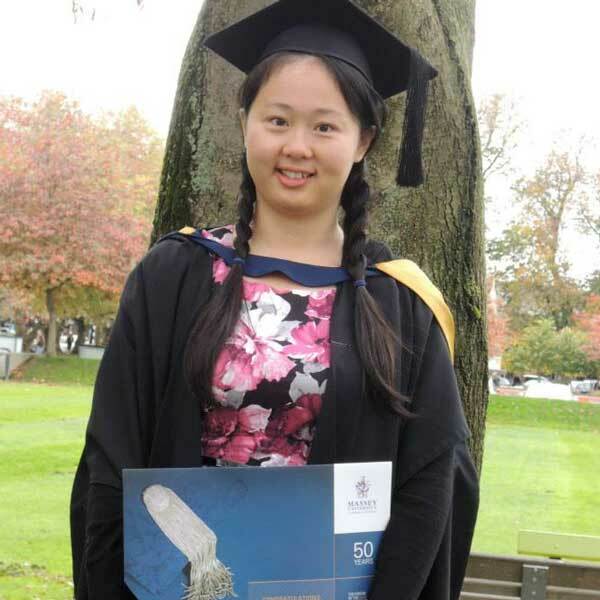 After arriving in Manawatu, I quickly settled into my homestay accommodation and began a pathway programme with Massey’s Centre for Professional and Continuing Education (PaCE). I found the DEEP (Direct Entry English Pathway) Advanced programme extremely valuable and learnt much more than I expected to. You don't just learn English; you learn about academic culture, how to carry out research and preparation for postgraduate studies. Massey has taught me many new ideas and a different approach to learning (and teaching) from the one I learnt during my bachelor studies in China. This has rounded off my master’s degree. Massey taught me about critical thinking and that everyone has their own ideas, which is a stark contrast to how I was taught at home. After 2½ years I completed my master’s degree with Massey University as well as the Trinity ESOL certificate through International Pacific University. I have now settled in Manawatu and have secured a full-time teaching job at a local polytechnic. My plan is to remain in New Zealand. I like the supportive environment of the ESOL community here; they help you to achieve your goals and this attracts me to stay here.